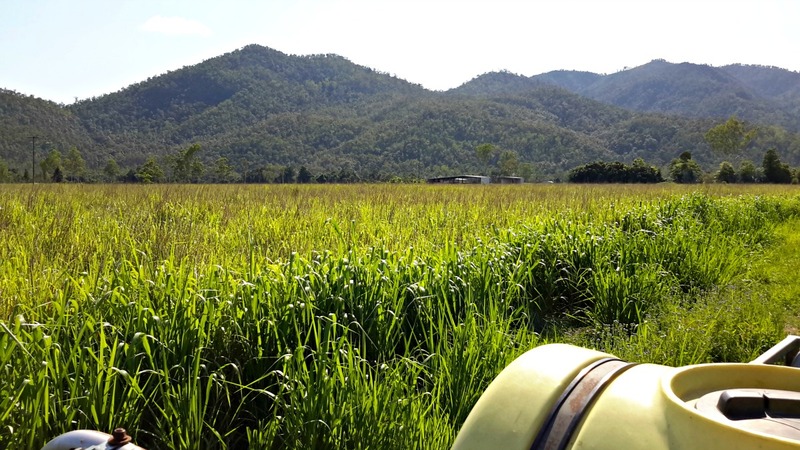 In 2017, the Indigenous Land Corporation (ILC) sought assistance with managing fire risk in areas surrounding the Jumbun Community at Murray Upper, south of Tully in Far North Queensland. High fuel loads in the community area presented a significant risk if ignited by an unplanned fire event. 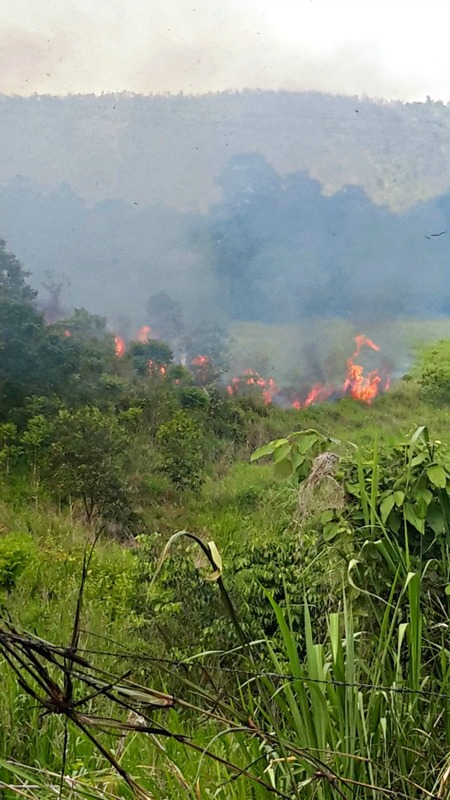 The fuel loads were in close proximity to Jumbun assets and housing, neighbouring properties, national park land, plantation timber, and situated on either side of the Murray Falls Road which is frequently used by tourists. The objective was to reduce the fire hazard, and preferably before the school holidays in September. However, burns were unable to proceed at this time and Firecraft Environmental were referred to the ILC in October to undertake coordination of the burns. While the preferred timing was in August before daytime temperatures would increase and summer rainfall commenced, Firecraft were confident they could carry out wet-season or storm burns in the coming weeks and achieve the objectives for reducing the risk to Jumbun residents and road users despite day time temperatures exceeding 35°C. 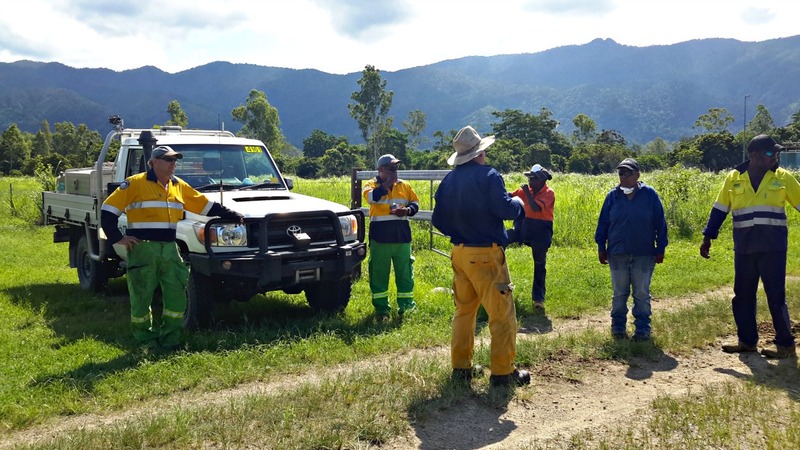 Firecraft engaged the help of neighbours Queensland Parks and Wildlife Service (QPWS) and the ILC’s Jumbun Municipal Services Team to assist with the implementation of the burns. Firecraft monitored weather for several weeks. Once the all the variable weather ingredients for the ideal burn were in place, the burns were scheduled. Conditions were wet and humid and the window of opportunity to undertake the burns before Christmas was 3 days. On the 5th December rainfall was expected to ease for five days and Firecraft prepared for burning. While the burn areas were supporting a flush of new growth and were verdant in appearance, there was a thick understory of cured grass. 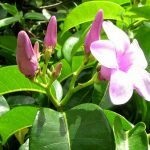 It is estimated that the fuels were up to 8 years old with biomass accumulation (predominantly Megathyrsus maximus) of approximately 125t/Ha in some areas. Despite the recent consistent rainfall received between October and November prior to the ignition date, and 100% fuel coverage in surface and near surface strata – there was no soil moisture retained – a significant factor in determining that the surface layer of fuel in the block would burn readily. 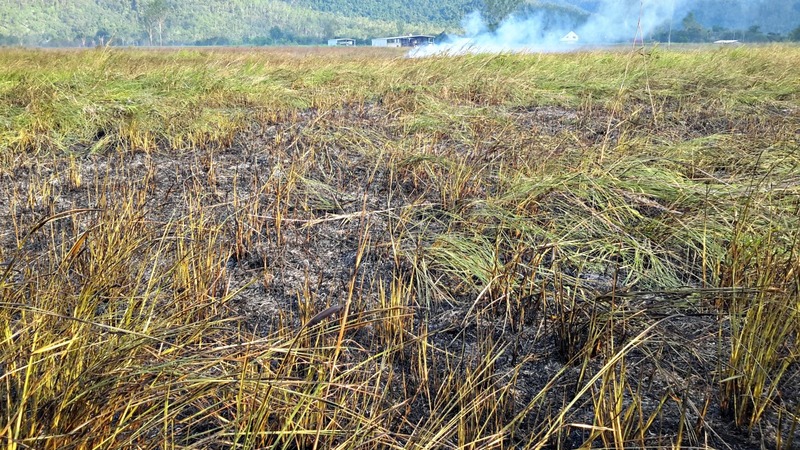 Burns commenced on the 7th December, 2 days after the last rainfall was received and once fuels had dried sufficiently and daytime temperature were high enough to carry fires in humid conditions. The last burn was undertaken the evening before predicted rainfall the following day. 100% of cured fuels were consumed removing all risk of unplanned wildfire and providing protection to residents of Jumbun and key infrastructure.